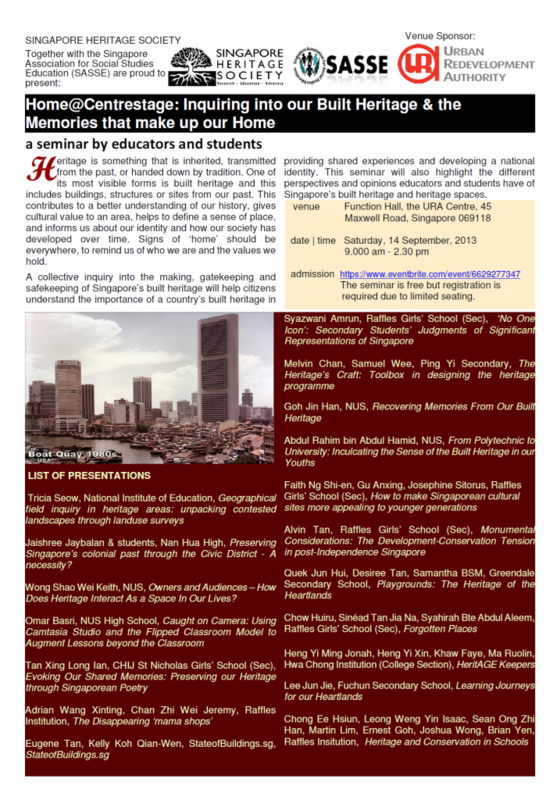 The Singapore Heritage Society and the Singapore Association for Social Studies Education, along with support from the Urban Redevelopment Authority, proudly present Home@Centrestage: Inquiring into our Built Heritage & the Memories that make up our Home, a seminar by educators and students. There are four panels discussing a multitude of issues addressing the central question – what is the relationship between heritage and making Singapore a home. Session notes from the event.